I am taking this opportunity to thank my faithful followers who have stuck with me through months of silence and no new posts. Thank you. It means A LOT. You are the ones who keep me going when there seems to be no reason to. 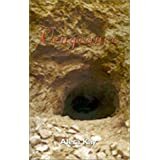 To show my gratitude I am offering the first three chapters of my original novel, “Vengeance” as a free attachment in an email. It is a historical novel set in post Civil War West Virginia, a state very near and dear to my heart. The protagonist is a young Native American half-breed raised as a white girl. Her mother was Shawnee, married to an Irish settler. Fawn has auburn hair and hazel eyes but she wants to cling to her Shawnee heritage, which she knows little about. She often does things she thinks were part of her heritage, but she isn’t sure, and sometimes doesn’t get it right. If you would like to receive the first three chapter of the original please email me at: aletak60@gmail.com. Just type “Vengeance” in the subject line. Thank you again for your loyal support. Previous Post Lily: A Short Story, has reached the last 50!